Louisville, KY (January 3, 2017) – Just a few weeks after concluding their own annual meeting, volunteer leaders from Kentucky Farm Bureau (KFB) are headed to the 98th annual convention of the American Farm Bureau Federation (AFBF), January 6-11 in Phoenix, Arizona. Over 400 KFB members are traveling to the Grand Canyon State to help shape Farm Bureau’s national policy agenda for 2017, learn about and discuss new trends in agriculture during several special interest conferences, explore the innovative agricultural technology, equipment, programs and services featured at AFBF’s IDEAg Trade Show, and compete for some of the country’s top agricultural honors in a variety of contests. 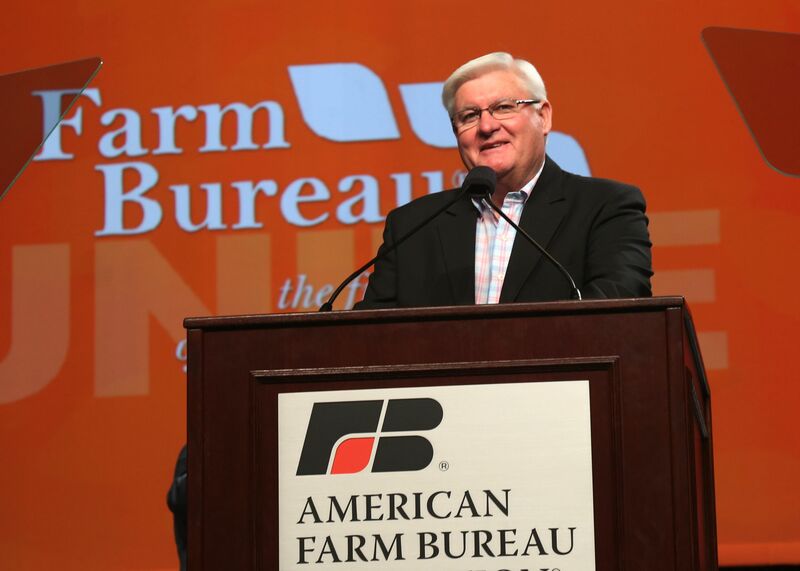 With the focus on advocacy, leadership and education, AFBF’s annual convention is anticipated to draw approximately 5,000 attendees from the 50 state Farm Bureaus and Puerto Rico. Keynote speakers at the convention include AFBF President Zippy Duvall and football legends Peyton and Archie Manning. Newly re-elected KFB President Mark Haney of Pulaski County will head Kentucky’s delegation, who will serve as voting delegates during the business session of the annual convention. They will join their counterparts from across the nation to discuss and adopt policies on key national issues. Kentucky’s priority issues include wildlife management, rural infrastructure, water resource management, national farm policy, taxes, trade, and environmental regulations. Kentucky Farm Bureau President Mark Haney addresses the convention. Additionally, several of Kentucky’s state-level winners will vie for top honors against competitors from around the country. KFB will be represented in the Young Farmer & Rancher Achievement Award competition by Brad and Karen Hines of Hart County, in the Excellence in Agriculture contest by Ryan and Miranda Chaplin of Bourbon County, and in the Discussion Meet by Kirby Green of Daviess County – each identified as Kentucky’s state winners during the KFB annual meeting held in December.